Visit our parent site to view the other products we make. You can also download a brochure on Eglomise Glass and the other interior decoration products we make. 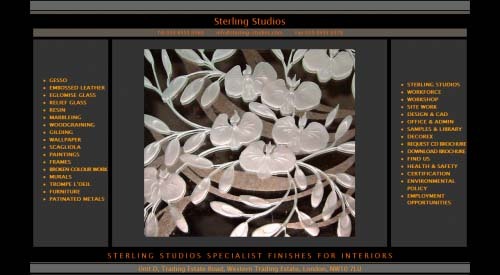 Visit our sister site www.embossedleatherpanels.com for information on the embossed leather we make.